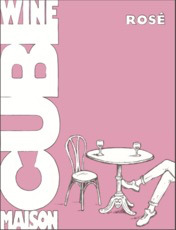 Wine Maison Cubi Rose de Provence 2016 3L in a Box - Royal Wine Merchants - Happy to Offer! Four Bottles in One! Stay Fresh Pack! With its pale color this rosé offers the perfect balance between flavors and acidity. Apricot, peach and strawberries aromas from the grenache are associated to the structure and the elegance of the cinsault.